So you’ve been in a motorcycle accident. Forget about that Attorney who claims to have “Special Skills” representing motorcycle riders. He’s been taking advantage of motorcycle riders for years. Sorry, but he doesn’t make a better case for you. Quality representation of injured motorcycle riders is all about “lawyering skills” and not the Attorney who rides a motorcycle on Sundays. 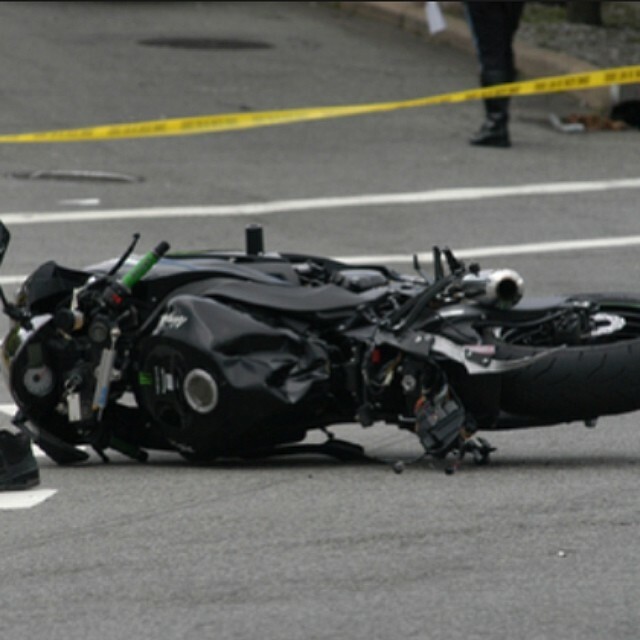 An Attorney who represents motorcycle riders in accidents does not equal a good lawyer. After 32 years in this business, I can tell you that the Personal Injury Attorney who specializes in litigation and trials is really your best choice in handling a motorcycle injury case. Why is that? Just because our clients drive semi-trucks, ride horses, fall downstairs, and fuel airplanes doesn’t mean that they can be put on the stand as an “expert”. Although I was a carpenter and a construction foreman for 16 years, would that be helpful in a construction case? Not really! Consider that your “Motorcycle Attorney” would not be permitted to testify about your case or his so-called “motorcycle expertise” in court. Nelson and Natale are the Attorneys who bring in those experts who are trained to testify in court as an expert. A good Attorney acts as a facilitator, he uses his talent to put on the case before the jury. Let’s say you suffered a very serious motorcycle accident. The expert I would bring in is a seasoned former California Highway Patrol Motor Officer, who will sit in front of the jury in court in full dress uniform and support your testimony with his professional expert knowledge and skill. Would we win? I’d say we had an excellent chance. The jury could care less about the Attorney’s personal talents. Jurors want to know how the facts of the case fit together, and how the Attorney establishes liability and causation, which means the relationship of the facts of the accident to the effects of the accident. You see it has nothing to do with riding a motorcycle. Your attorney must have the skill similar to an orchestra conductor in order to be successful with your case. I didn’t say piano player, or violin player, or motorcycle rider, I said conductor. I just signed up a client last week who was in a major motorcycle accident on the I-10 freeway just outside of Los Angeles. He suffered major injuries. Traffic on the freeway was stopped for three hours. We do know that an eighteen wheeler (semi truck) cut him off and caused the accident. What we don’t know is the name of the guilty party. We have many witnesses but we haven’t identified the defendant. There’s no need to waste time, only wine gets better with age, not evidence! I filed the lawsuit already but who do I name in the lawsuit as the party at fault? This is where we get back to my original point – “it’s all about lawyering skills”. Trust me when I say we’ll get it done and when we arrive in court we’ll call in our expert, the former Highway Patrol Motor Officer who will dazzle the jury with his expert testimony. These are the skills that will win our client’s case. Nelson and Natale has been handling serious injury motorcycle accidents for over 30 years. Don’t be fooled into choosing a lawyer just because he rides a Harley Davidson or because he worked in a muffler shop while going to law school. When it comes to having a serious accident, make rational decisions. Hire an Attorney with proven experience, a successful “track record”, because the security of your future and your family are on the line.